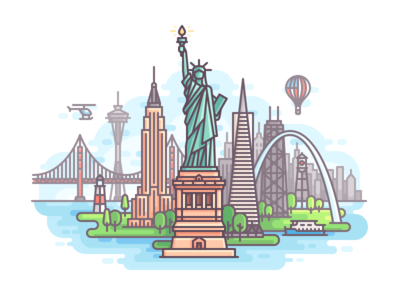 This is a commercial project where I created 332 icons for chat rooms of a social network aggregation. 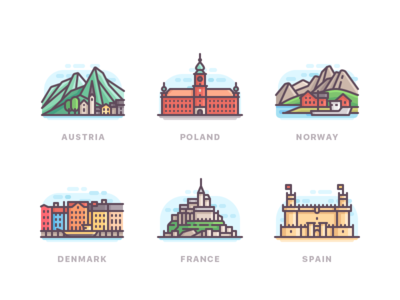 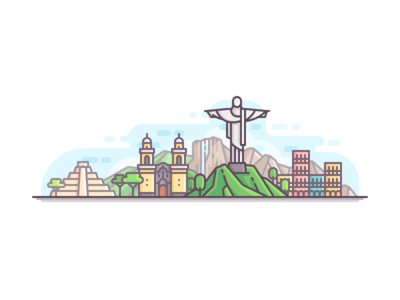 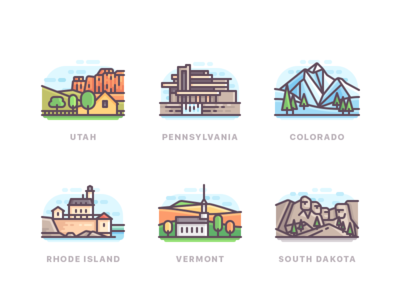 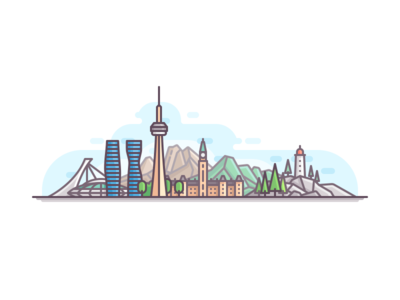 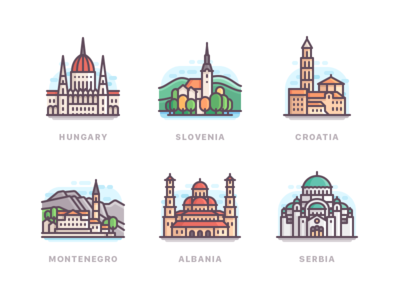 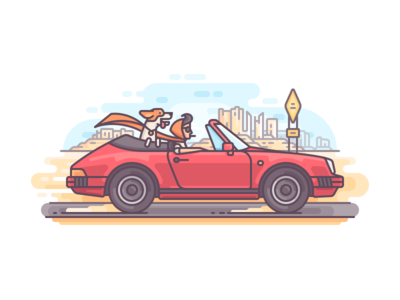 Each icon has a certain landmark of a city/county/state/country. 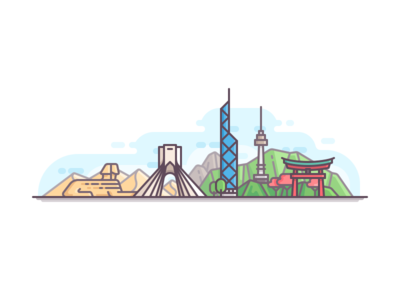 Full project on Behance!